Two weeks ago, I got a little carried away playing with a few of my retiring stamp sets. 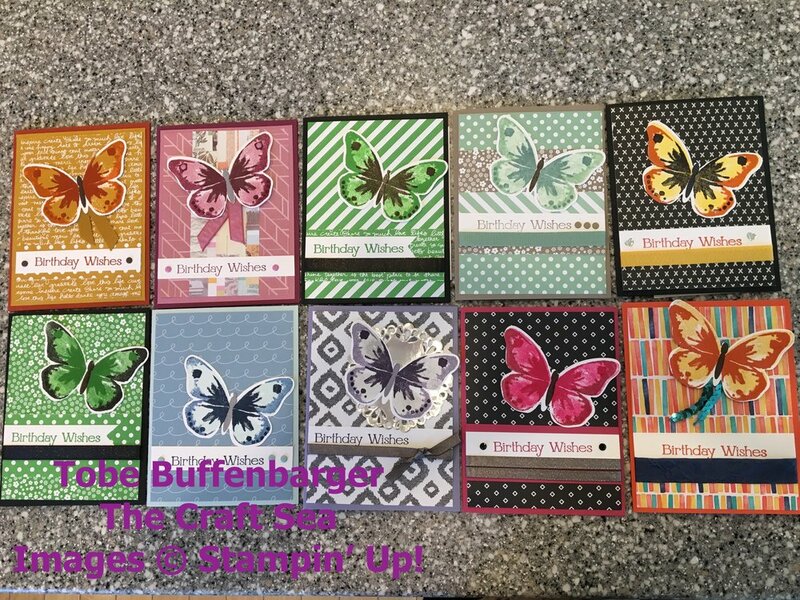 I wanted to make a few butterflies using the Watercolor Wings stamp set and ended up making over 20... Yeah, didn't see that coming. I took my butterflies and dug through my scrap paper box for coordinating papers. From there, I paired each card with a few embellishments (ribbon, enamel shapes, candy dots, doilies, sequins, etc).